Every day as Georges Hage walks into his office, he’s greeted with a reminder of what he’s expected to achieve as CEO of the Contracting and Trading Group, or C.A.T. On the wall of the group’s recently restored headquarters in Beirut, which they’ve occupied for 60 years, there’s a mission statement posted for all to see: “C.A.T.’s vision is to gain back its place in the industry by prominent growth and leadership.” Easier said than done. Formed in 1937 by famed Lebanese businessman and politician Emile Bustani and two business partners, C.A.T. was once arguably the region’s largest general contracting firm. It played an integral role in building the modern Middle East—laying pipelines that pumped some of the Gulf’s early oil wealth, and working on projects across the Arab world and beyond during its heyday between the 1950s and 1970s. “At one point of time, C.A.T.’s operations spanned almost the whole globe, from Malaysia to Houston,” says Hage, who’s 58. Those days are gone—and that’s especially evident in the Middle East, where the contracting sector has changed dramatically in recent decades. As oil wealth spawned building sprees and mega-projects, competition increased within the industry. The Gulf produced a number of homegrown construction giants, such as Arabtec, Saudi Binladin Group and Saudi Oger. Meanwhile, the abundance of projects in the oil and gas sector led major international contractors to build portfolios in the region. As control of C.A.T. 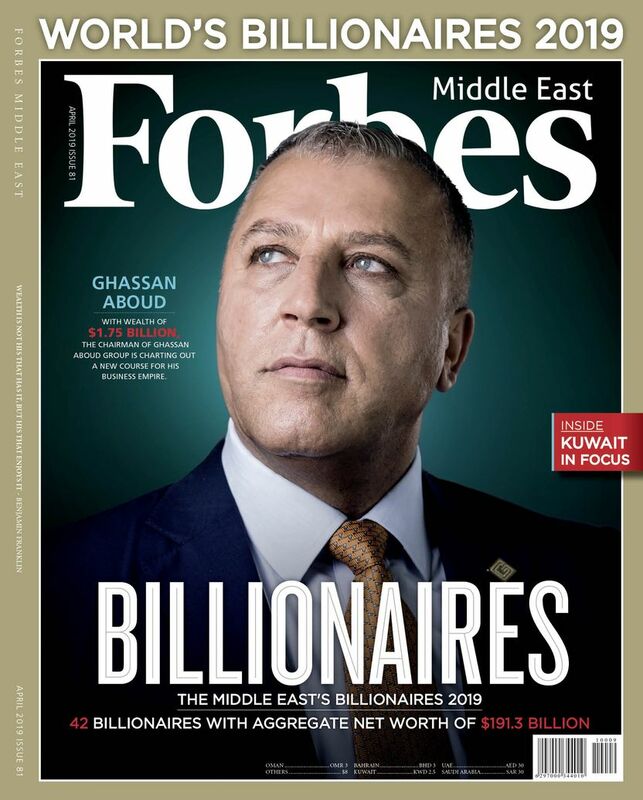 passed from one generation of family members to the next, the firm that once enjoyed easy access to high profile projects around the Middle East watched its market share slip. Today, C.A.T. operates mainly in the GCC and West Africa, offering engineering, procurement, construction and facilities management services cross a number of sectors, such as oil and gas, energy, infrastructure and utilities. In 2017, C.A.T. Group came in at number 91 on Engineering News-Record’s (ENR) Top 250 International Contractors survey, with firms ranked according to construction revenue generated outside of the company’s home country. Last year, its revenues stood at $747 million—down 9.5% from 2016. 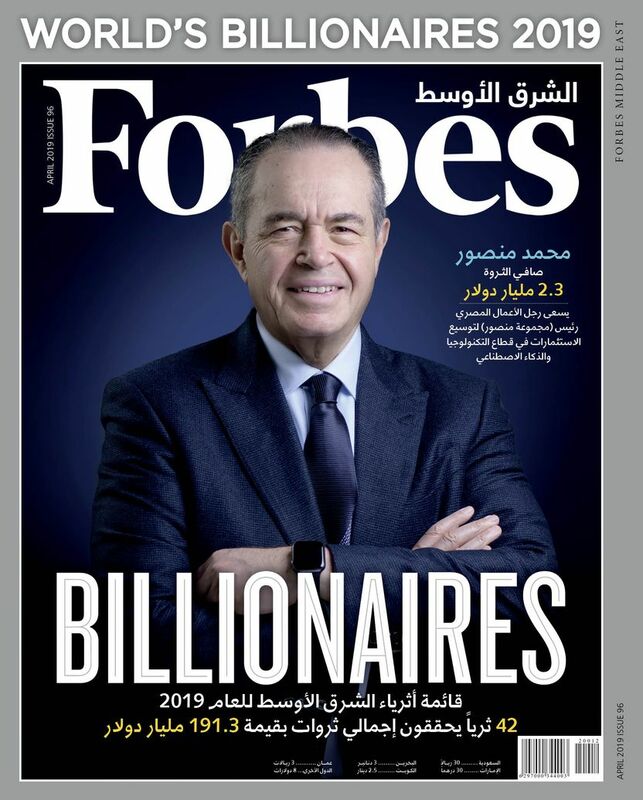 Still they were sizable enough to secure the number 23 spot on Forbes Middle East’s ranking of the 50 biggest private companies in the Arab World for 2018. The firm has around $1.2 billion worth of projects, with the biggest in Saudi Arabia, Qatar and Nigeria. By comparison, its competitor Arabtec recorded $2.5 billion in revenue last year and had a project backlog of $4.7 billion in work. The same three families—the Bustanis, the Shammas’ and the El Khourys—still own C.A.T. today, and in recent decades they’ve moved to re-establish the company as a key player in the Middle East’s contracting sector. It’s been a long process. They restructured the group in the 1990s and brought in outsiders to run the business. The most recent push came in 2013, when C.A.T. hired Hage away from Saudi Oger and tasked him with changing the group’s organizational culture and improving performance. “C.A.T.’s strategy in recent years has been to strengthen its position in its existing markets and to develop the right capabilities to expand opportunistically to new markets,” says Hage. The group’s core business area is still oil and gas projects, and it counts Saudi Aramco as a major source of contracts. Last year, C.A.T. completed four projects valued at more than $1.5 billion for the oil giant, including laying 1,500 kilometers of pipelines. It’s nearing completion on another project for Aramco, and recently started work on four more, which it will carry out over the next three years. It has also submitted three tenders for work on an Aramco gas compression plant, each worth more than $800 million. “Definitely now the projects are bigger, the projects are more complicated,” says Hage. Hage expects the utilities sector to become another core business area for the group, despite the smaller scale of project compared to oil and gas contracts. C.A.T. recently completed a district cooling plant in Qatar, where it’s also currently working on a water transmission pipeline. Further afield, it has an ongoing water treatment project in Nigeria. Hage is also diversifying the company’s portfolio by bidding on projects in renewable energy, a growing sector. At the moment C.A.T. has tenders in Lebanon for solar and wind projects. Despite C.A.T.’s smaller geographic footprint, he still hopes to grow the business again in sectors and markets that are less saturated than the Gulf. Case in point: it recently finished evaluating a potential solar project in Ukraine. Yet, it’s not an easy time to orchestrate a return to form for the group. Hage came in at the worst time, just as oil prices were about to begin their downfall. Since 2014, the oil slump has impacted the region’s construction sector the most, with local contractors currently facing challenges across their entire supply chain. “Clients tightened their budgets, which led to a scarcity in projects that in turn led to fierce and unreasonable competition amongst contractors, reflected in suicidal prices,” says Hage. Payment delays are a major challenge. C.A.T. has suffered from high account receivables, with payments from some clients delayed for years, impacting cash flow. Against that backdrop, the company has gotten more selective in the projects it bids on in an effort to avoid clients with poor payment histories. The downturn has taken its toll, with several high-profile GCC contractors such as Saudi Oger and Saudi Binladin Group opting to restructure their businesses. “The big giants of the past,” says Marwan Bejjani, a partner with consulting firm Strategy&, who oversees the region’s construction sector. But Bejjani sees a brighter future, driven largely by projects from Saudi Arabia’s economic diversification program, Vision 2030. The contracting sector in the region too will be different going forward. Gulf countries are also heightening regulatory oversight for contractors, and clients and project owners are becoming more sophisticated. “Contractors have to step up their game internally, in terms of operating models and governance,” says Bejjani. It’s an era far removed from C.A.T.’s beginnings. Although hailing from Lebanon, Bustani initially started the company in Haifa, where he won a contract with a local oil refinery. Shortly thereafter, Bustani registered the company in Lebanon, joined by his business partners Abdallah El Khoury and Shukri Shammas. They built a steady business by securing contracts from the British army during the Second World War and soon won an award to build a pipeline for the Iraq Petroleum Company—the first of many major pipeline projects for the contractor. Back then, winning contracts in the region often did not include a bidding process, or even a formal contract. “Work was awarded over a handshake or an afternoon coffee. C.A.T. was able to build on many relationships that were created by the founders and passed to the next generations,” says Hage. In ensuing decades, C.A.T. built oil export facilities and pipelines across the Gulf. It expanded globally, carrying out projects ranging from Afghanistan to South Africa, and even in the North Sea. Bustani died in an airplane crash in 1963, after which his wife Laura became C.A.T.’s chairperson while his daughter Myrna also got involved. The company pushed into West Africa, where it secured projects in infrastructure, transportation and water, and laid pipelines in Ghana, French Guinea and Nigeria. It’s a presence the company has worked to maintain. “Our group is still strongly rooted in Nigeria,” says Hage. By the 1980s the company had grown to operate a number of subsidiaries, spanning from France to Saudi Arabia and Cyprus, with family members maintaining hands-on roles and continuing to lead the business. In those days, C.A.T. also had to contend with years of instability during Lebanon’s 1975-1991 civil war. In 1994, the owners decided to restructure the firm under a holding company, registered in Luxembourg, and instituted corporate governance. “From that day onward, C.A.T. started operating like large corporations, where there is a clear separation between the ownership and the management of the company,” says Hage. With outsiders running the business, C.A.T. began to narrow its focus to the core markets it operates in today. The families have stayed involved in the group, but they don’t interfere with day-to-day management, says Hage. In 2012, the group began to hunt for a new leader to guide them in this new era, looking to replace outgoing CEO Nasser Issa. That’s when C.A.T. contacted Hage through an international executive search firm. Then overseeing business development at Saudi Oger, Hage was intrigued by the offer. Born and raised in Lebanon, he grew up admiring C.A.T. and was open to returning to his home country after years working between France and Saudi Arabia. 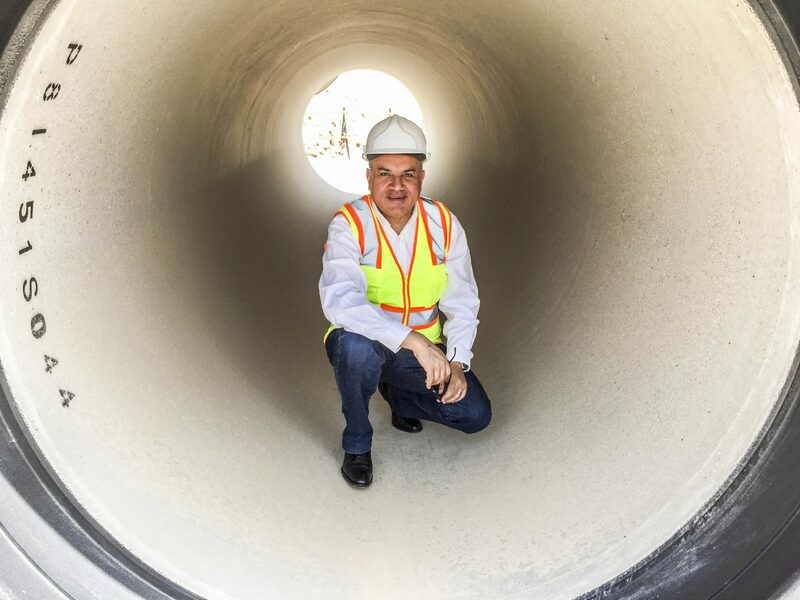 Hage got his start in the late 1980s working as a project manager in France’s construction industry, after earning his master’s in civil engineering from Saint Joseph University in Beirut. He returned to work in the Middle East in 1997, overseeing business development in the region for the industrial group Bouygues. Once aboard C.A.T., Hage encountered a company still struggling to change with the times. “Our business was too complex,” says Hage. The company was in disarray, with great overlap between sales and operations when it came to making decisions and handling resources. He also encountered a group still largely set in the old ways, with many employees having been with the firm for decades. “It’s not easy to change the mentality, change the habits,” he says. He wanted to bring fresh ideas to C.A.T. and develop the right capabilities to expand into areas that were natural extensions of the company’s traditional services. He’s worked to improve operational efficiency, and each year introduces a new initiative to improve company culture and performance. In 2018, he’s trying to revamp the company’s human resources and recruitment process, in hopes of attracting and developing new talent. He’s also focused on improving project management skills and automating processes. That involved introducing new technologies into the mix, such as a cloud-based in-house enterprise resource planning system, developed with Oracle. “How we manage our subcontractors and suppliers has a direct impact on the bottom line of the organization,” says Hage. The oil slump hasn’t helped his efforts though, with Hage conceding that he has failed to reach some of the targets set out by the shareholders when he was hired. Still, he’s tried to shore up the business by continuing to win oil and gas projects, as he works to position the company to retake a larger share in its traditional markets. Time will tell if C.A.T. can land back on its feet.